Parenting can be quite hard. Especially when you are teaching your tweens to be morally right and telling them the difference between wrong and right. I am sure we all know about the sad event of Florida shooting that happened a while ago. 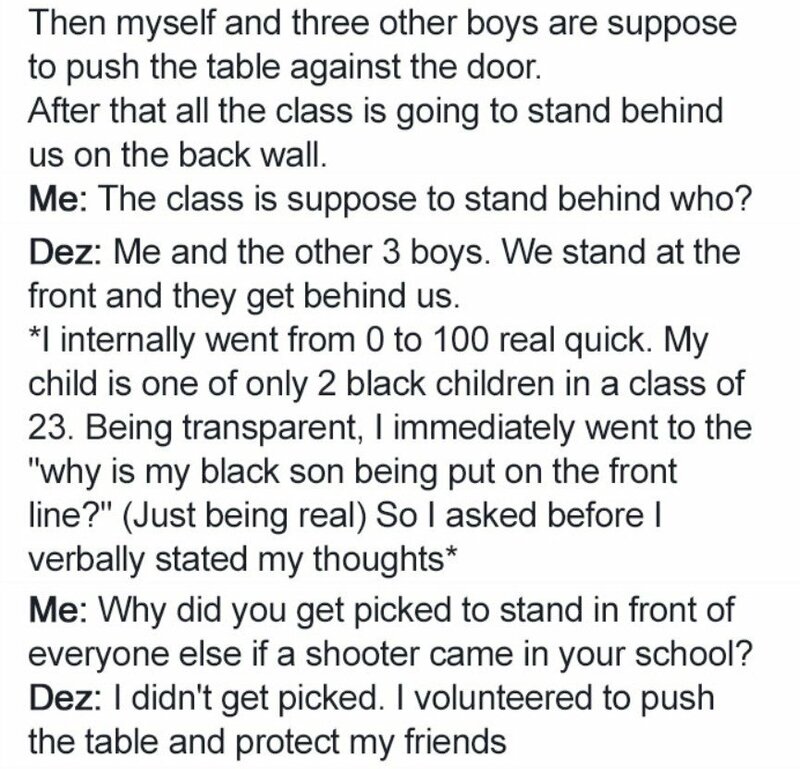 Well, because of this horrific incident many schools have started doing shooting drills. One of that school is where Dezmond goes. 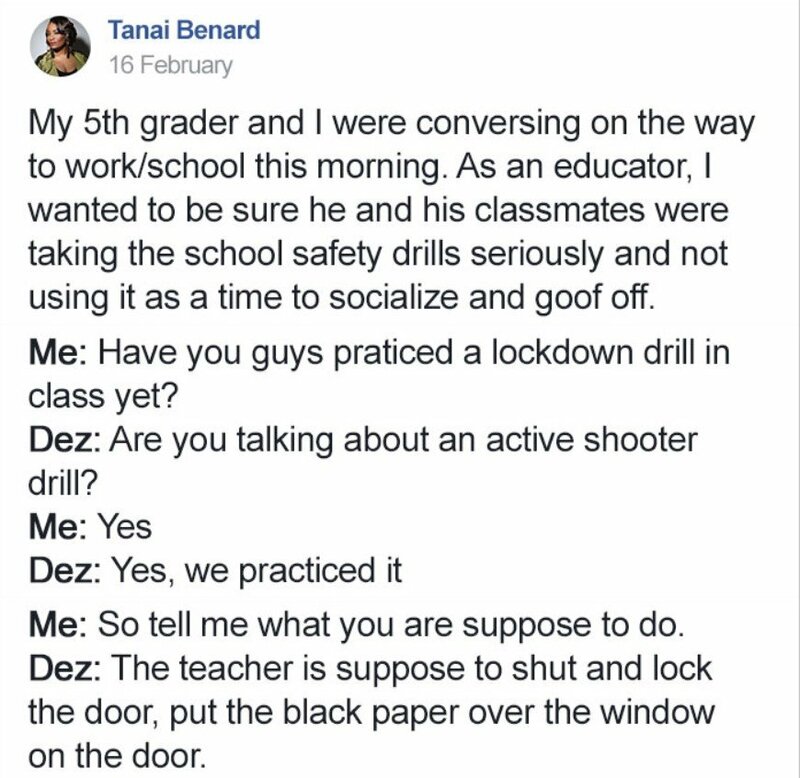 Her mother, Tanai Bernard is a teacher from Texas who had an exchange with her son about the drills. 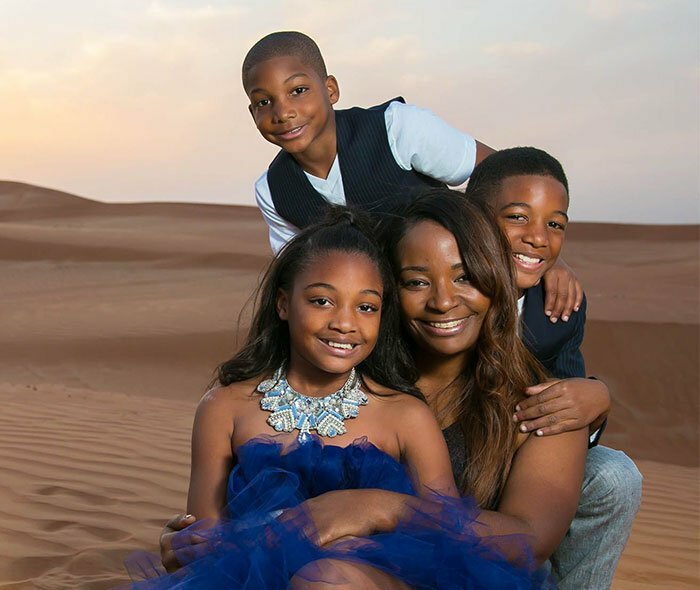 Now, this may sound pretty ordinary but what her son said next will probably surprise you all. So scroll on below and take a look at the whole exchange between one mother and son. 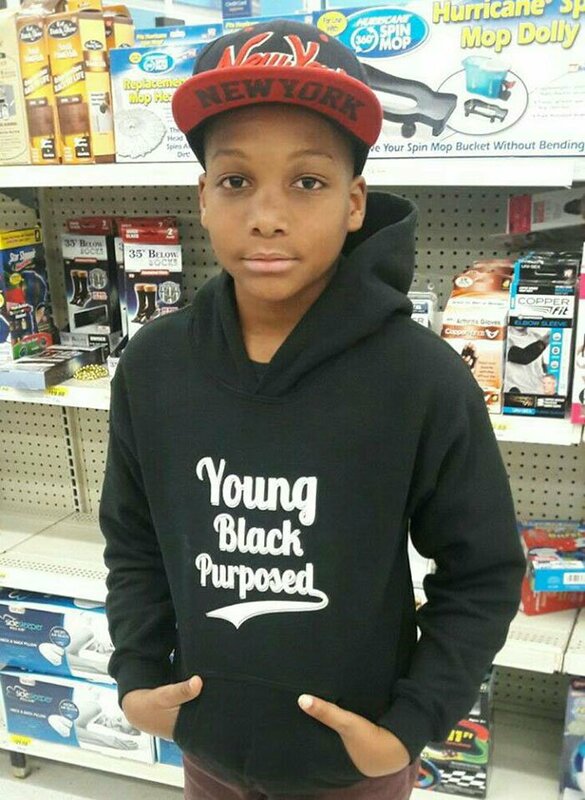 Meet Dezmond, A fifth grader. The exchange seemed pretty normal at first. Then it went a bit awry. 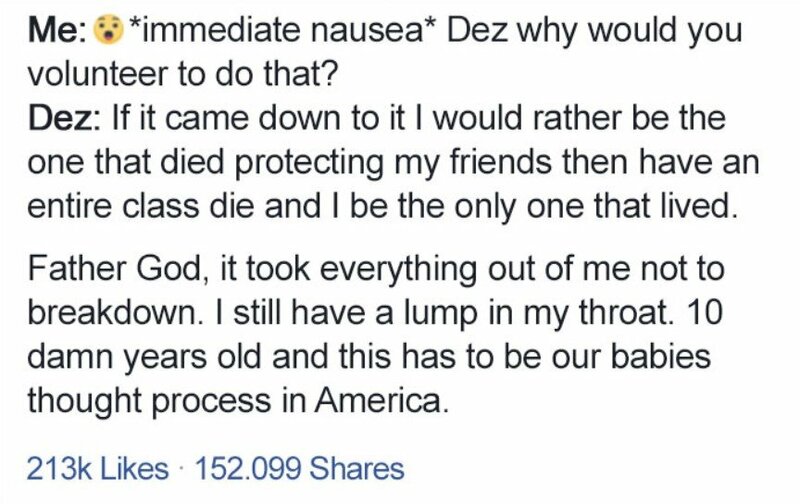 Until Dez explained the real reason. All I can say is that Tanai is indeed a great mother. This exchange has garnered over 310K reactions and 150K shares on Facebook. And people are quite supportive of Dez. It turns out these sad events sometimes bring us together. That is sadly very true. Hopefully, the world can say that soon enough.